The Horadrim was a brotherhood of mages formed by the Archangel Tyrael to combat the Three Prime Evils: Diablo, Mephisto and Baal on the mortal realm. A century after their apparent victory and success in imprisoning the Prime Evils, the brotherhood faded into history and legend. Around 1004, the Horadrim was formed from the major mage clans in the East by Tyrael to defeat the Three who were wreaking havoc in the mortal realm. The Horadrim received three Soulstones from Tyrael, which would serve as devices for the imprisonment of the Prime Evils. Though their ranks would increase with time, the founding members of the Horadrim were seven in number. They represented each of the extant mage clans, pulling upon individuals from the Vizjerei, Ammuit, Taan and Ennead clans among others. Among the original founders were Jered Cain, Zoltun Kulle, Nor Tiraj and their leader, Tal Rasha. The sigil of the Horadrim. 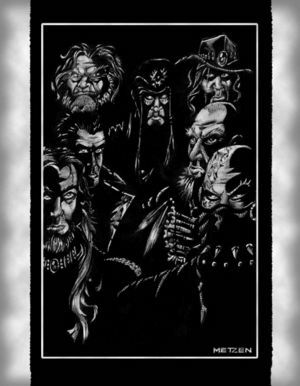 Together, the disparate mage clans that formed the Horadrim proved to be a formidable force. The brotherhood easily captured Mephisto, the Lord of Hatred, in Kehjistan and imprisoned him beneath the Temple of Light in Kurast. Diablo and Baal escaped Kehjistan, and ventured West across the sea to Aranoch. Led by Tal Rasha, the Horadrim pursed Baal to the city of Lut Gholein, where the Lord of Destruction took refuge for three days. Baal eventually emerged from Lut Gholein, and headed north into the Aranoch desert toward Scosglen. The Horadrim quickly descended upon him and a great battle ensued. 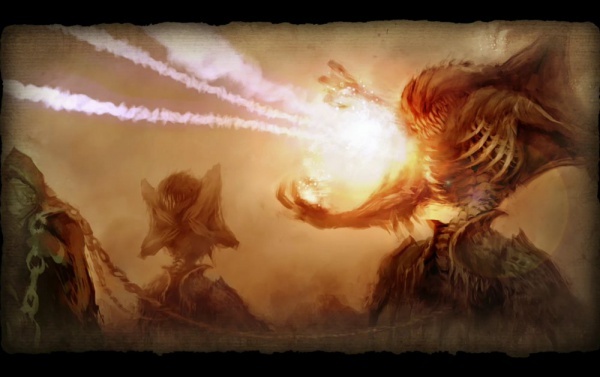 Baal was overwhelmed by the determined magi, but in a last-ditch effort to destroy Tal Rasha, he succeeded in shattering the soulstone that was meant to serve as his prison. While the Horadrim managed to subdue the Lord of Destruction, the shattered pieces of the soulstone were not able to contain the demon. They realized that a mortal vessel was needed in conjunction to bind Baal; the Ennead mage Zoltun Kulle hypothesized that a mortal heart could serve as a surrogate soulstone. It was Tal Rasha who selflessly volunteered to serve as that vessel and wrestle with the demon for all eternity. Despite capturing Baal, Diablo managed to escape. For the next nine years, Jered Cain and the remaining Horadrim followed Diablo's wake of terror. In 1019, the Horadrim caught up to Diablo and a great battle unfolded that claimed the lives of many members of the brotherhood. Nevertheless, they were triumphant and the Lord of Terror was finally captured and imprisoned within the last of the soulstones. The Horadrim carried the cursed soulstone to the land of Khanduras, where they buried it within a secluded cave near the river Talsande. Above the cave, they built a monastery from which they continued to guard the soulstone. Around this monastery was founded the town of Tristram. With the threat seemingly gone, and no great quest to drive them, the Horadrim's numbers dwindled. The order eventually faded into history. The last known descendant of the Horadric brotherhood is Deckard Cain, the great grandson of Jered Cain, a mere scholar with no experience in magic or battle. He would pass his teachings on to his adopted daughter Leah and others... if only they would sit a while and listen. In the Reaper of Souls intro, Tyrael addresses the people accompanying him as Horadrim, so it is likely he attempted to restore the Order in case of future invasions. Artwork shown during the Diablo III Lore panel at Blizzcon 2011. During the segment that this was shown, Leonard Boyarsky described the Dark Exile and the role the Horadrim played in hunting down the Prime Evils and their minions. The image seems to depict a Horadric mage leading chained demons. The demon to the right appears to have been blasted by magical energy (perhaps for not keeping withdrawn like his companion). Initiate was one of the highest ranks a Horadrim mage could have. Known initiates included Tal Rasha and Jered Cain. Acolyte seems to have been a lower rank than Initiate, though what characteristics or privileges distinguished this rank from Initiate are largely unknown. The Horadrim used to mummify their highest mages, and infuse them with spells that would allow them to protect their tombs, even after death, possibly using magic from the Priests of Rathma. When Diablo travelled through Lut Gholein, he managed to corrupt one such mage, who terrorized the city. This was only possible since the ancient guardian spells had begun to unravel. Tal Rasha - Initiate and leader of the Horadrim. He sacrificed himself for the imprisonment of Baal. Jered Cain - Initiate of the Horadrim. He led the group of Horadrim monks who successfully captured Diablo. Nor Tiraj - Acolyte whose journal describes the capture of Diablo, which occurred around year 1019 in the Diablo timeline. Radament the Fallen - A mummified member of the Horadrim who was stirred into unrest by the passage of Diablo through Lut Gholein. Zoltun Kulle - One of the founding members of the Horadrim. He later turned to the path of evil. Deckard Cain, while merely a descendant of Jered Cain, believes himself to be the last of the Horadrim. 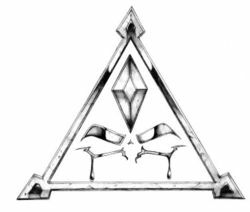 The Norwegian black metal band Ancient composed a song called "The Ancient Horadrim" that seems to borrow heavily from the lore of the Diablo Universe for its lyrics. The song was released with their fifth album, Proxima Centauri. Pursuit of the Prime Evils. This page was last edited on 15 September 2013, at 04:03.